An Ideal Solution: How Do Our Services Benefit You? 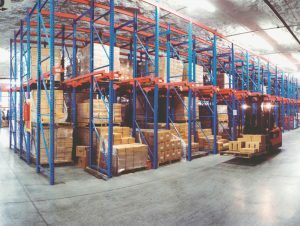 Receiving, storing and moving goods to optimize resources efficiently and economically is what great warehousing specialists understand. 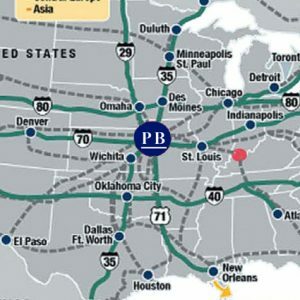 At Paris Brothers, not only do we excel in bringing value to your business through our specialized warehousing solutions, we have one of the most uniquely integrated offerings in the United States. The services and environment we offer is unmatched by anyone in our industry. Because we’re more than just a warehouse, but also an importer, distributor and manufacturer ourselves. Our business operates with a true understanding of our clients’ needs. We become an extension of our clients businesses, customizing our solutions to fit business objectives. We’re a natural solution in every way. 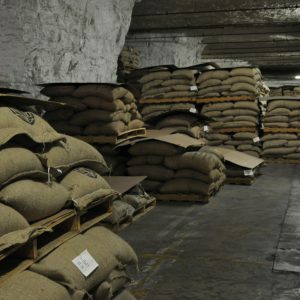 Underground storage is an ideal environment for practically any item, but especially climate-sensitive products like electronics, perishables and other consumer goods susceptible to humidity and temperature fluctuations – especially green coffee. And within our earth-insulated structure, we are more energy efficient than 90%+ of all U.S. warehouses, requiring significantly less resources to build, maintain and operate on a daily basis. 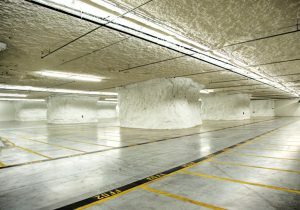 This natural environment is also naturally secure, making it an ideal solution for high-value goods. 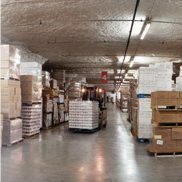 With truck and rail access “indoors”, goods are loaded and unloaded underground, in a closely-monitored, secure environment – 24/7/365. With Paris Brothers customized solutions, we take added value even beyond warehousing, serving as an efficient extension of your business model. So regardless of your needs, there’s a warehousing solution that fits with Paris Brothers.